Varhley Vittor & Associates, LLC. needs of the legal community! We are committed to providing expedient and excellent service. to upload and access their files via our encrypted virtual repository. At Varhley Vittor & Associates, LLC., our track record, proven over three decades of dedication, speaks for itself. are the benchmarks in court reporting. We are dedicated to supplying quality transcripts using state-of-the-art technology to ensure accuracy, security, and expedience. 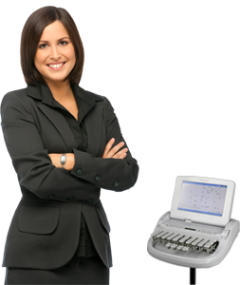 Our services exist to ensure your deposition or case is recorded in the most convenient format for you. We provide digital, print, audio, and video transcriptions to meet all of your court reporting needs. Utilizing the latest online technology allows us to serve you faster! Every customer has the option of a private file repository for their documents. You will soon be able to login to our website and select ‘Client Login’. From here, use the credentials we assign to you in order to access your transcripts and other documents. Your files are secured using the latest encryption standards. 256 bit encryption and SSL secure technology are implemented from the initial file transfer received from the reporter to your final file download in our custom portal. No matter where they are, your files are safe.